In the last couple minutes, add broccoli to boiling water and pasta. Drain. 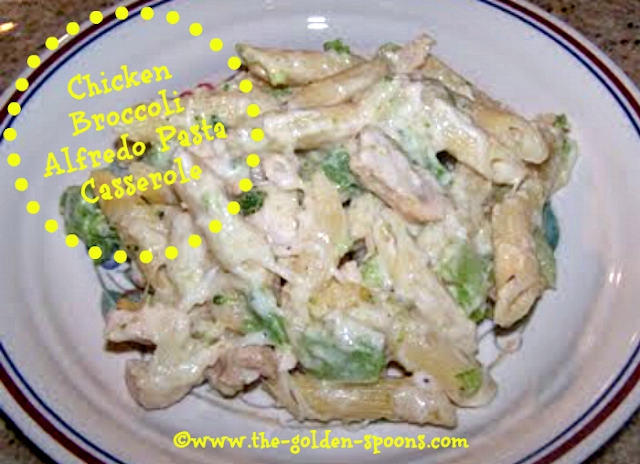 Mix pasta, broccoli, alfredo sauce, chicken, and 2 cups of the cheese together. Pour into greased 13x9 casserole dish. Top with remaining cheese and bake at 400 degrees for 15-20 minutes, or until cheese is melted. **Since it was just the girls and me tonight, I cut this recipe in half and just used an 8 inch square pan. I still had leftovers!